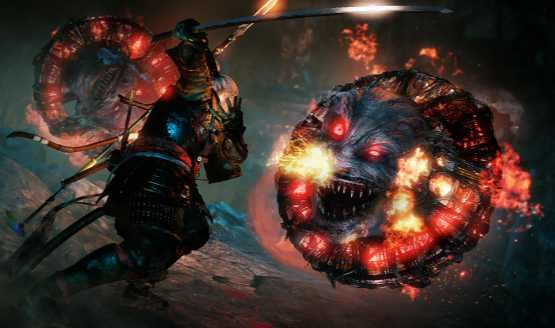 Nioh Update 1.12 for PS4 brings new features and improvements. Home Gaming Nioh Update 1.12 for PS4 brings new features and improvements. Nioh update 1.12 for PS4 is now available for download. The latest update brings new features and improvements to the game.minor fixes and improvements to the game. The has added a new function “donation” to the power battle. You can now earn military by offering accessories to the samurai belonging. The Nioh update also fixed a bug that the skill “Iwamori” would not activate even if it was not pressed long. In addition, the update fixed the problem that the clear level of “Queen’s eyes” of play record became the same as that of “Yu Ai Maou”. Nioh Update 1.12 for PS4 added a new function “donation” to the power battle. You can earn military by offering accessories to the samurai belonging. In addition, you can earn reward items by satisfying certain conditions. Added a new function “Reprint” to the blacksmith. By consuming the new item “spirit coal”, you can select and modify the special effects given to the equipment from the candidate list. Released with “Spirit coal” acquired, it is opened when entering the restore screen and can be executed by pushing the △ button. Enhanced so that the same place as last time was selected by pressing the △ button after the blacksmith’s “rework” was executed. Added support for background playback of USB music player / PlayStation ™ Music. We will be able to pay expenses of matching souls at your discretion. “Buddhist gold bullion” will be able to forge. Consuming all Amurita possessed during forging, a certain percentage will be accumulated. You can collect accumulated Amrita by using “Bungeon of the Bunraku”. When you disassemble it will be possible to obtain rare smithing material with low probability. Ogi gets increased initial compensation for the mission added. Amrita of the first Reward – Increase money. ※ Osami can acquire the first reward every time the mission reappears. Ishida, Otani, Kato, Mori, Kuroda, Yoshikawa, Torii, Matsunaga -Saika, Uesugi Shibata Mori, Fuma Takeda Murakami, Naoe Ashikaga, Satake, Ukita, Asakura. The adjustment made to the initial value of the “cage of the family crest” of the following Samurai. ※ Transferred from Ver1.12 onwards Only the samurai who did it is effective. By doing “donation”, bonus value by the number of days will rise. ※ If the bonus value by a number of days already reached the maximum, it does not rise. Previously, the company released update 1.11. Check your game update and download Nioh update 1.12 for PS4.